A perk at every level. 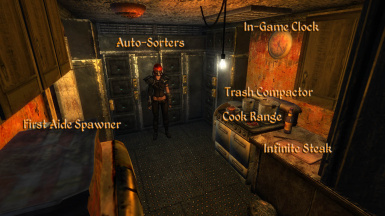 Allows you to have as many companions as you want all at once. 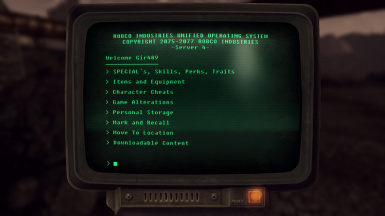 Resurrection of the FalloutNVCheatTerminal project by borjoyzee. Requires all major FONV DLC. 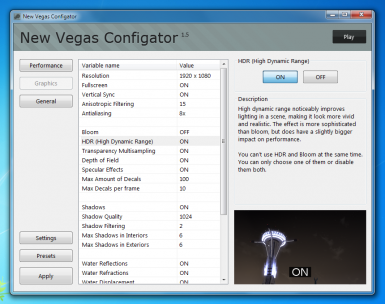 Tweak New Vegas trough a simple and easy user-interface. No need to mess around with the ini files anymore! Recreate lost player characters, create test player characters for testing mods, or cheat for the fun of it. Continuing my tradition of Levelers mods. 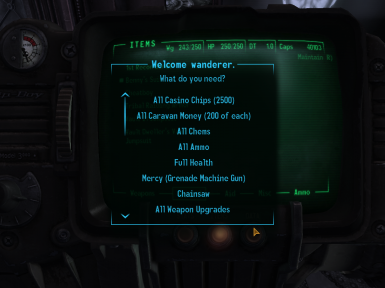 This mod allows companions to use any weapon as a companion weapon, with unlimited ammo. 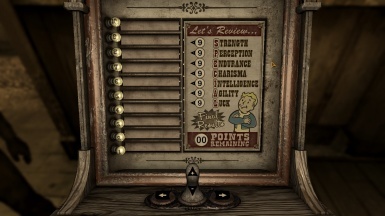 Grants 1 perk per level. I know there was another one of these out there, but it had dependencies that included DLC. 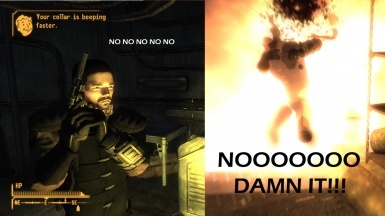 This only requires the base Fallout New Vegas game. You can cheat from your pip boy. Makes you able to carry much more stuff!! Optional 50000 version available. 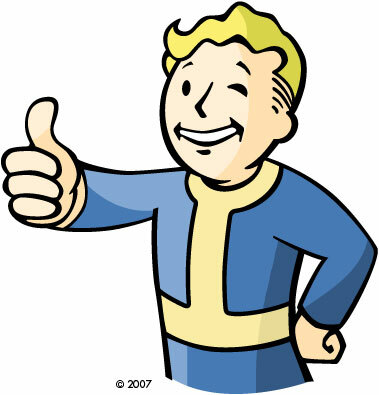 Adds more points to the vigor tester at Doc Mitchell\'s house so that you can start a game with a S.P.E.C.I.A.L. of all 9\'s. Disables weapon and armor degradation. Are you annoyed by the constant collar explosion and poison cloud all over the place? this simple tweak disables both. A key that will open any locked door or container. Allows the game to unlock Steam achievements even after using console commands. 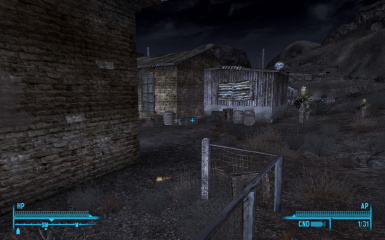 Two Simple Box in GoodSprings that has all the Ammo and Weapons and ammo in the game. Version 2 Now includes 2 boxes. The First Box is a cabinet that has Guns Ammo and Mods, and the Box next to it has Armor and Meds. 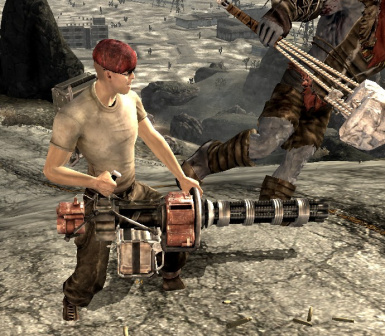 Adds a Gnome Ammo Refill Unit that the player can give to companions that will provide said companions with infinite ammo. Ladies and Gentlemen, I present to you: The legendary Sword of a Thousand Truths. Custom built from the ground up, to defeat evil of the greatest magnitude, it is unlike any sword you\'ve ever seen before. This is the first weapon that Chuck Norris would consider a worthy weapon extension to he\'s arm. Epic Skills adds effects for building your skills above 100 (and, of course, allows you to continue adding to them past 100). It includes new abilities and the ability to see skills\' actual post-100 values.